Located 3 miles from Little Cesar's Arena, Comerica Park, and Ford Field. El Barzon Restaurante has been a staple to the city since 2007, serving both Mexican and Italian Traditional dishes. 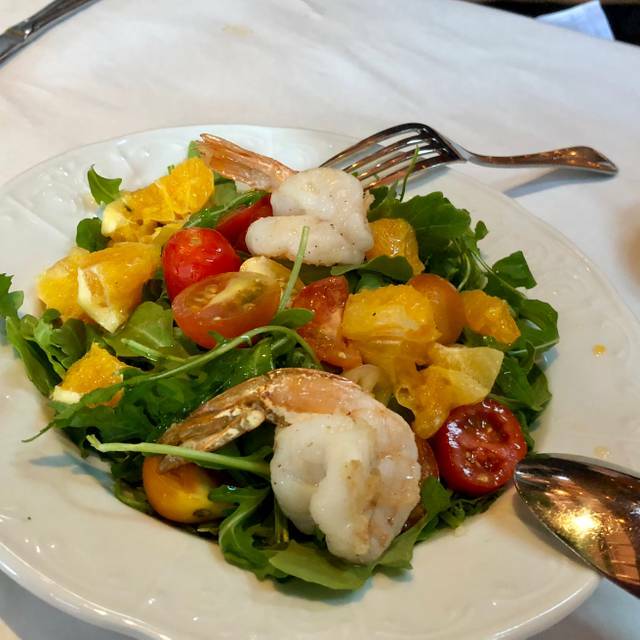 Chef/Owner Norberto Garita was able to obtain his culinary experience working in Manhattan N.Y. and in the later moved to Michigan where he worked at the famously (now Closed) Ill Posto Ristorante Italiano. This Year we will be having live entertainment, Mariachi Gallos de Oro and muchachos de Arranque will be performing from 5pm-9pm reserve your table soon!!! spots fill up quick. Great waiter - Pablo. Slow night due to Easter, so faster than usual. Caesar salad, lasagna, seafood appetizer and veal dinner were all very good. Our second visit. Next time. I'll try the Mexican fare..
Horrible time on Easter!! Ruined my family’s day. The food was burnt. For an entree on a brunch menu which was not mentioned as only menu, when making the reservation, was a piece of chicken and burnt potatoes. No vegetables. My grandson ordered French toast and under the first piece was a burnt piece so black it was disgusting. Told waitress and all she said was “sorry”. No replacement or taken off bill. A small portion of menu was family style so I asked waitress does that mean we all get salad? She said yes. So daughter ordered Ceasars salad. It was brought out and given to my daughter only, not family style as menu indicates and per waitress. Regular size salad too. Bread basket was brought out with torn pieces of old bread. We asked for rolls and was told that is all they have!! Multiple times I tried to get waitress attention but she was always talking to fellow waitresses and was hard to get her attention. Ice tea was watered down and not worth it. Terrible service and food! Very disappointed!! Everyone at table said they will never come back!! My husband, daughter, son in law and I went to El Barzon for Easter Brunch. We were impressed with the offerings on the brunch menu. The food was delicious and the service excellent. We are always impressed with the quality of the food served at this restaurant. My family agreed that the food was excellent and all of us would recommend El Barzon to a friend. We have eaten at El Barzon many times and always enjoy the high energy and good food at this unique restaurant. The noise level, however, is so high that it is almost impossible to talk to others at your table in the main dining room. The patio, when open, is beautiful and much less noisy. The bar area is always better as well. Our most recent visit was for Easter Brunch and it was very busy. The food was good and so was the service. Again, however, the noise level was a problem. Birthday celebration success! We arrived early(20minutes) No Problem we were seated promptly, server Mirjana was informative, warm and answered all questions with a smile. An array of appetizers were ordered all very yummy(I suggest the shrimp with beans & arugola) next the entree from branzini dishes to a vegetarian pasta eggplant dish(I wanna bath in the red sauce!) to a Barbacoa el Chivo(Bbq goat) everything was fresh, seasoned well with the portions being more than enough! 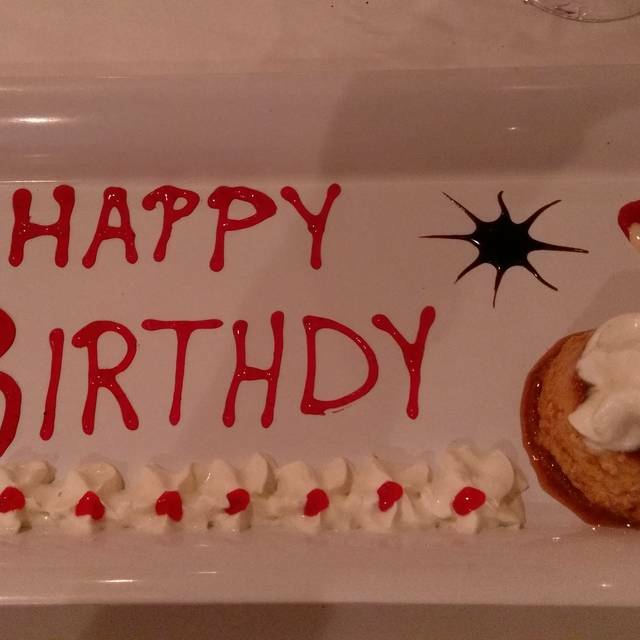 Dessert was a Flan which they decorated the plate with a HAPPY BIRTHDAY and a candle! Awesome! Owner/Chef came out introduced himself and chatted us up, even answered a few questions. To top off the night Chef bought us Tequila Shots! Very cavalier of him. Definitely will be back! 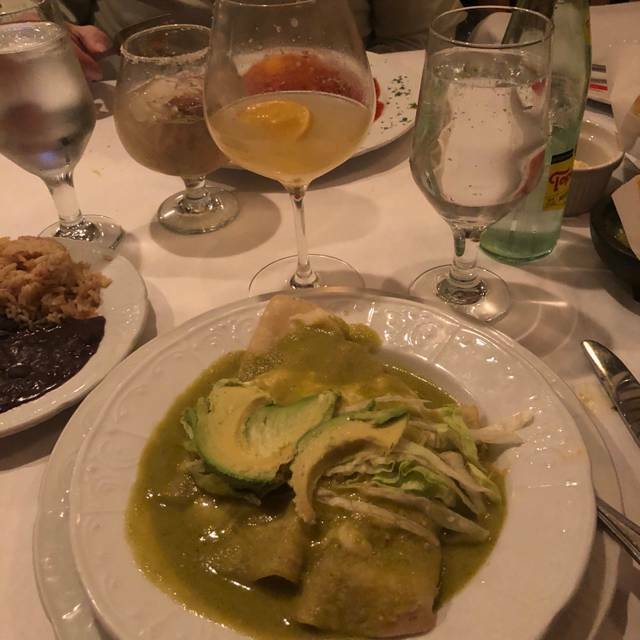 El Barzon has traditionally been one of our Detroit favorites. Our last experience will likely have us going elsewhere for Mexican. 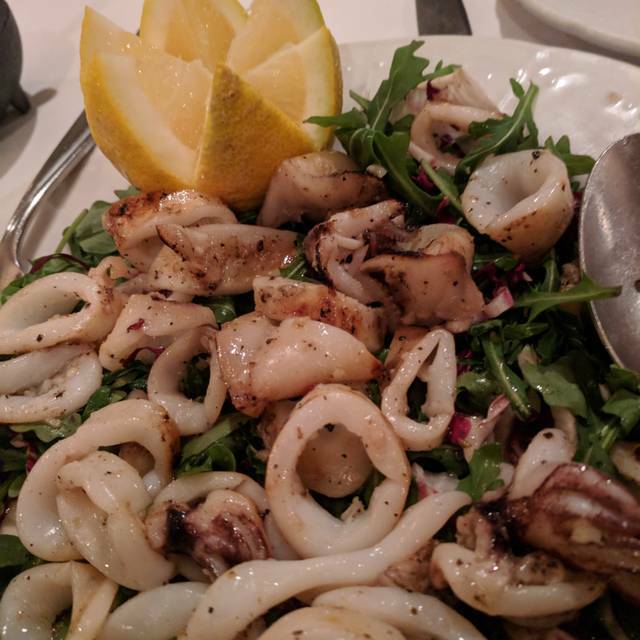 The Calamari was very fragrant and fishy. The Mole was average at best. However, the most disappointing part of our experience was feeling rushed. It was noticeable and annoying. Hope the tables that came in after us had a better and more relaxing experience. This is by far the best Italian/Mexican place I have ever been to. The service was amazing, the food is delicious and the atmosphere is perfect. The house made sangria is delicious as well as the special of the night, gnocchi, was amazing! Overall great experience and we will be back! The food was delicious, our drinks were great, our server was very nice....staff was great. We will definitely return! Excellent all around. Highly recommend. The food is fantastic and the service is perfect. The food st El Barzon is delicious, homemade Sangria, guacamole and beans. The chicken mole was great. The staff was very friendly. We would definitely return again. Very nice menu - something for everyone. Prices were reasonable especially for the amount of food served. Our waiter was exceptional! I had the salmon served with au gratin potatoes and spinach, and it was wonderful! I would recommend El Barzon to everyone, and we will certainly be going back again. Food was excellent. There was three of us and we all decided on Mexican food. It was fresh, very flavorful, and great serving size. My only complaint would be the cost of the house Chardonnay which was $15 a glass, and I live in Seattle! I had a Detroit Mule and the ginger beer didn’t have much of a kick. If you want authentic Mexican with drinks made with fresh herbs, this is it! Great food and service. So many tasty options to choose from. Always torn between Mexican and Italian classics. I got the barbacoa and my finance got the lasagna. Both were fantastic. El Barzon is a Detroit landmark but still a hidden gem. This was our first outing and we came on a busy Saturday night and were seated promptly (reservation). There was a seemingly long wait for table service but our waiter, Alfonzo( the nicest person) turned the evening around with humor and grace. The appetizers were very good(frito mixto and eggplant) and the entrees were very good(enchiladas) and filling. The flan and tiramisu were excellent with an advantage to the flan! Margaritas were perfect and the wine list had great options fairly priced. It’s a great place to take a group and eat well, relax and enjoy this very friendly fusion of Italian and Mexican cuisine and hospitality. ALWAYS GOOD, RELIABLE FOOD FOR THE MONEY. PLEASANT STAFF. The service was great, the food was delicious!!! Burritos not good, food very pricey for what you get. And being advertised as Italian, not a salad included with the pricey entre. This restaurant was over-rated in my opinion. I liked the idea of a Mexican/Italian menu combo but the Mexican options were very limited. I ordered the Chili Relleno and was very disappointed. It was $19 for 1 pepper with rice and beans...a terrible value in my opinion and the dish lacked any flavor. The server was attentive but we couldn't understand anything he was saying as he mumbled under his breath alot. the ambiance is ok and the temperature was so hot inside that it was unbearable. We mentioned the temp to the waiter and he basically said, "oh well." He forgot our drink order, didn't give us refills on chips/salsa even when reminded and when we told him we were celebrating a birthday, he didn't even acknowledge it or make the experience even a little bit special. We won't be back. El Barzon is one of our favorite restaurants and we try to get there at least twice a year. A wonderful meal as usual. Our server did forget to greet us, but once reminded we were there he apologized and took excellent care. My only complaint was that he never mentioned the specials and we heard a server next to our table talking about them and we would have ordered one had we known. Oh well, everything we ordered was still fabulous. Can't wait to return. Food wasn't good and it was very expensive, this was the second time we have dined here, and it is just "eh", nothing here that will bring us back. Celebrating a birthday! A great dinner! Our waitstaff was super attentive! They made great recommendations! The food was delicious. And the best gnocchi we’ve ever had ! Highly recommend !! First visit. Attractive dining room, interesting mix of Italian and Mexican dishes. Portion sizes ranged from huge (pollo) to skimpy (clams / mussels in red sauce). Good quality preparations that leaned toward the traditional. Decent wine list, although few bottles under $40. Servers were attentive and well-skilled. Our waitress was fantastic and so was all of the food. I’m already thinking of excuses to come back soon. 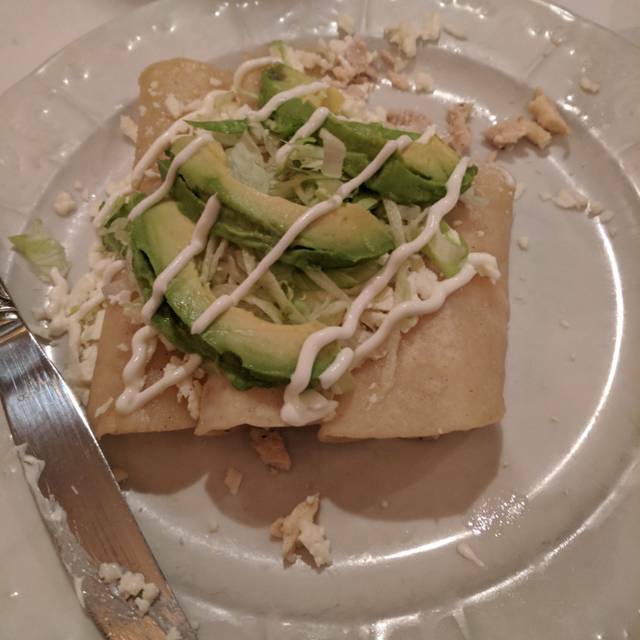 El Barzon has been one of our favorite places to dine for years! How can you go wrong with Mexican and Italian, both of which are exceptional. 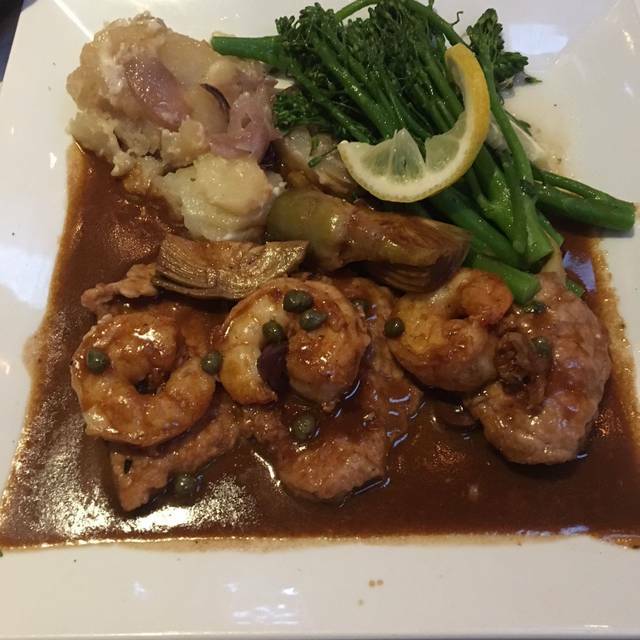 We constantly have a glorious meal, great drinks, and spectacular service. 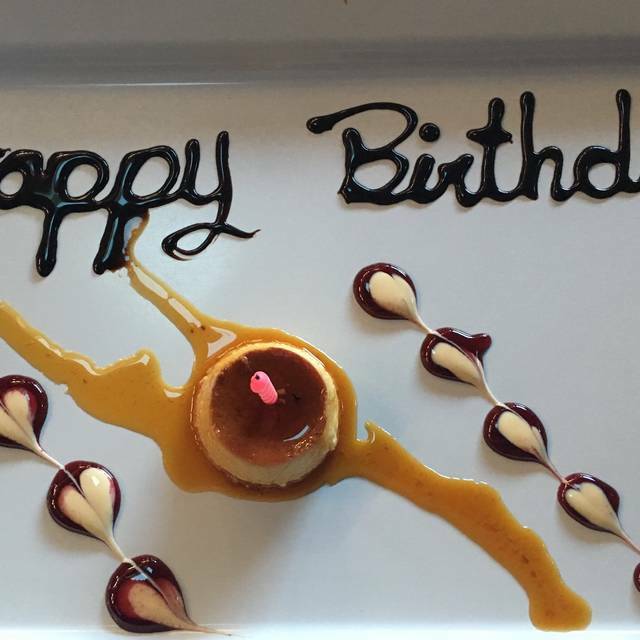 Kathy waited on us this past visit and paid impeccable attention to every last detail. Thank you! The food was very good and the entrée portions were generous. The barbacoa de chivo al horno was some of the best barbacoa I've had. We will be returning. My recommendation to those booking a reservation and hoping for a quiet or romantic dinner, would be to make sure you get a table away from the kitchen doorways, especially if your reservation is during normal dining hours. The level of traffic and noise in and around the bar and kitchen area will be a significant distraction. Our 2-seat table was located between one kitchen door and bar end, and we found the experience less than relaxing. Always amazing when we go. I'd recommend, but I don't think we would go again. We went during Restaurant Week to try their menu and because we had heard the chef was nominated for James Beard award. We had the calamari appetizer and sausage & peppers appetizer. Poorly executed and plain. Chicken marsala was dry...menu stated it was "stuffed" with mushrooms, they were just scattered around. Flavor was good, but thought the execution was not up to par. 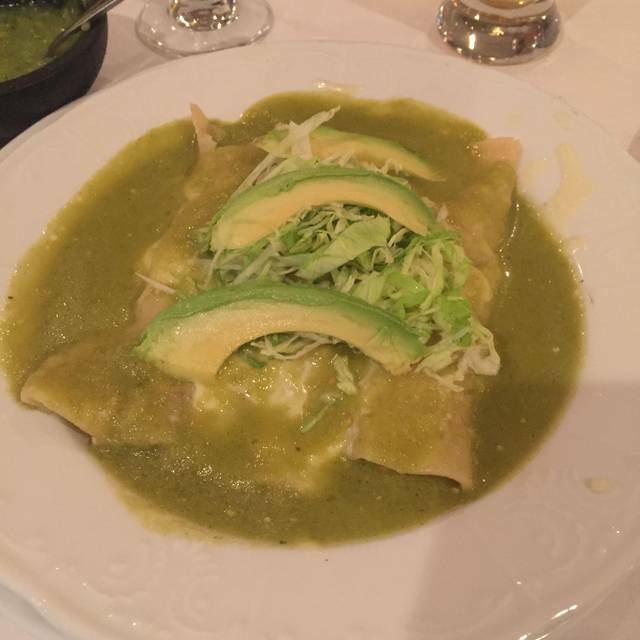 We had the chicken verde enchiladas and they were, well, the same as any other restaurant. Tres Leche cake was dry! The Sangria & tiramisu were good and our server Pablo was wonderful, but we won't go back. I really did like this place. Only thing I disliked is that it’s a 2 hour limit and they do rush you out of there when it gets closer towards that limit. I mean my sister was still eating the chips and salsa and they literally took it from right up under her while she was eating. Other than that I have no issues. Food amazing, staff of great! 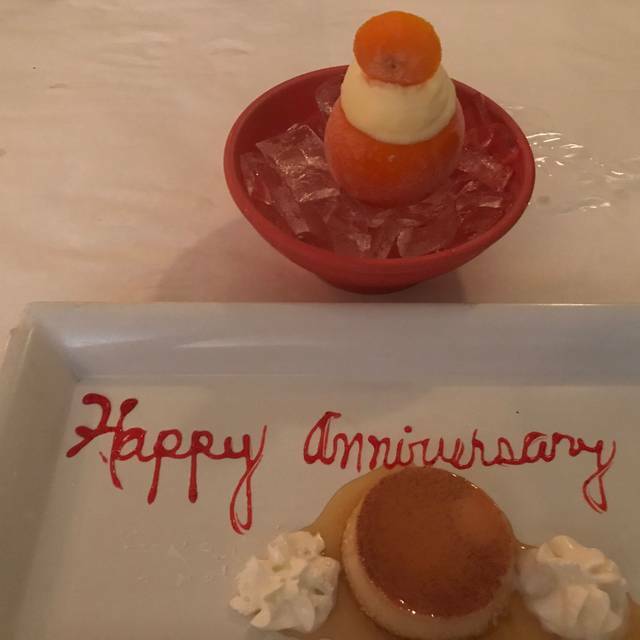 We have eaten at numerous restaurants during restaurant week over the years and this was the worst meal we had at any restaurant. Our waiter recommended the sea bass and I literally had a piece of fish that was no more than 3 ounces. I complained and the waiter said he agreed and tried to get another piece but told me he asked and they would not do anything. If the restaurant can't serve an adequate portion they shouldn't put it on the menu. Another member of our party ordered the enchiladas and said they had no taste. Certainly not worth the restaurant week price of $39. We will not go back. This was my second time there but the service was terrible this time. As walkways the food was amazing however we were rushed into ordering and eating becuause they were closing soon. If I had known the kitchen closed at 9 I wouldn’t have made a reservation for 8:45. We had such a great time there! We celebrated my husband's birthday with family and friends and everyone enjoyed themselves. Food was great, service was awesome. We will come again soon! The food was excellent and the service quite good. Here is my issue. It's Detroit restaurant week. It was not indicated anywhere when I made my reservation. They would not allow us to order off the regular menu. It was three course Price Fix for $39.99. I ordered fish which is normally $19 and salad which is normally $6 and got a dessert that I can't eat due to dietary restrictions. I feel ripped off and disappointed. I will try it again because of the food, but if it's not an exceptional experience, I won't go back. Have heard about this place for years. Decided to check it out for DRW. Amazing food. Everyone at the table ordered something different and it was all fresh and delicious. Cocktails were on point. Service was slow, but the place was packed. Servers were running ragged. I don’t blame them at all. They should add a couple more people to their staff.